The Tokugawa clan was a powerful daimyō family of Japan. They nominally descended from Emperor Seiwa (850–880) and were a branch of the Minamoto clan by the Nitta clan. The early history of this clan remains a mystery. 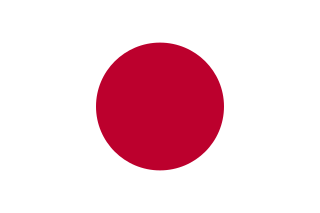 Members of the clan ruled Japan as shōguns from 1603 to 1867. The Sengoku period is a period in Japanese history marked by social upheaval, political intrigue and near-constant military conflict. Japanese historians named it after the otherwise unrelated Warring States period in China. It was initiated by the Ōnin War, which collapsed the Japanese feudal system under the Ashikaga shogunate, and came to an end when the system was re-established under the Tokugawa shogunate by Tokugawa Ieyasu. Oda Nobunaga was a powerful daimyō of Japan in the late 16th century who attempted to unify Japan during the late Sengoku period, and successfully gained control over most of Honshu. Nobunaga is regarded as one of three unifiers of Japan along with his retainers Toyotomi Hideyoshi and Tokugawa Ieyasu. During his later life, Nobunaga was widely known for most brutal suppression of determined opponents, eliminating those who by principle refused to cooperate or yield to his demands. His reign was noted for innovative military tactics, fostering free trade, and encouraging the start of the Momoyama historical art period. He was killed when his retainer Akechi Mitsuhide rebelled against him at Honnō-ji. The Azuchi–Momoyama period is the final phase of the Sengoku period in Japan. These years of political unification led to the establishment of the Tokugawa shogunate. 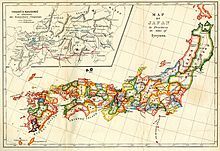 It spans the years from c. 1573 to 1600, during which time Oda Nobunaga and his successor, Toyotomi Hideyoshi, imposed order upon the chaos that had pervaded since the collapse of the Ashikaga shogunate. Society during the Edo period, also called Tokugawa period, in Japan was ruled by strict customs and regulations intended to promote stability. Toyotomi Hideyoshi was a preeminent daimyō, warrior, general, samurai, and politician of the Sengoku period who is regarded as Japan's second "great unifier". He succeeded his former liege lord, Oda Nobunaga, and brought an end to the Warring Lords period. 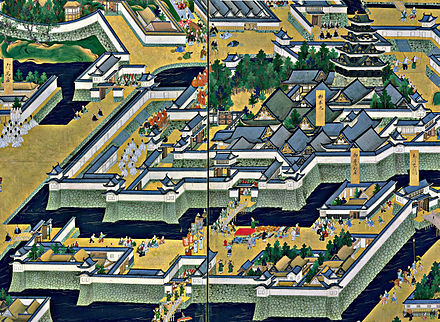 The period of his rule is often called the Momoyama period, named after Hideyoshi's castle. After his death, his young son Hideyori was displaced by Tokugawa Ieyasu. Regardless of the political title of the Emperor, the shōguns of the Tokugawa family controlled Japan. The administration(体制,taisei) of Japan was a task given by the Imperial Court in Kyoto to the Tokugawa family, which returned to the court in the Meiji Restoration. While the Emperor officially had the prerogative of appointing the shōgun, he had virtually no say in state affairs. The shogunate appointed a liaison, the Kyoto Shoshidai (Shogun's Representative in Kyoto), to deal with the Emperor, court and nobility. Towards the end of the shogunate, however, after centuries of the Emperor having very little say in state affairs and being secluded in his Kyoto palace, and in the wake of the reigning shōgun, Tokugawa Iemochi, marrying the sister of Emperor Kōmei (r. 1846–1867), in 1862, the Imperial Court in Kyoto began to enjoy increased political influence. The Emperor would occasionally be consulted on various policies and the shogun even made a visit to Kyoto to visit the Emperor. The san-bugyō ("three administrators") were the jisha, kanjō, and machi-bugyō , which oversaw temples and shrines, accounting, and the cities, respectively. 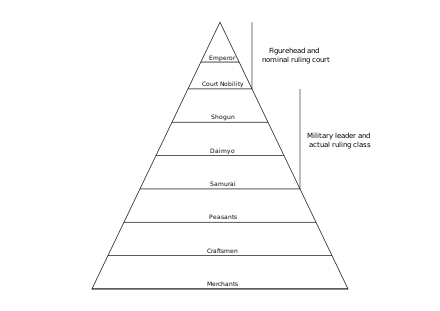 The jisha-bugyō had the highest status of the three. They oversaw the administration of Buddhist temples (ji) and Shinto shrines (sha), many of which held fiefs. Also, they heard lawsuits from several land holdings outside the eight Kantō provinces. The appointments normally went to daimyōs; Ōoka Tadasuke was an exception, though he later became a daimyō. The san-bugyō together sat on a council called the hyōjōsho . In this capacity, they were responsible for administering the tenryō, supervising the gundai (郡代), the daikan (代官) and the kura bugyō (蔵奉行), as well as hearing cases involving samurai. The shogun directly held lands in various parts of Japan. These were known as shihaisho (支配所); since the Meiji period, the term tenryō (天領, "Emperor's land") has become synonymous. In addition to the territory that Ieyasu held prior to the Battle of Sekigahara, this included lands he gained in that battle and lands gained as a result of the Summer and Winter Sieges of Osaka. By the end of the seventeenth century, the shogun's landholdings had reached four million koku. Such major cities as Nagasaki and Osaka, and mines, including the Sado gold mine, also fell into this category. 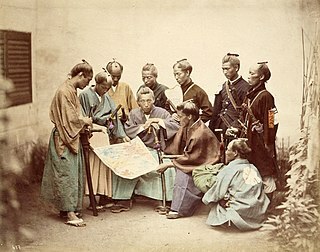 The late Tokugawa shogunate (Japanese : 幕末Bakumatsu) was the period between 1853 and 1867, during which Japan ended its isolationist foreign policy called sakoku and modernized from a feudal shogunate to the Meiji government. It is at the end of the Edo period and preceded the Meiji era. The major ideological and political factions during this period were divided into the pro-imperialist Ishin Shishi (nationalist patriots) and the shogunate forces, including the elite shinsengumi ("newly selected corps") swordsmen. 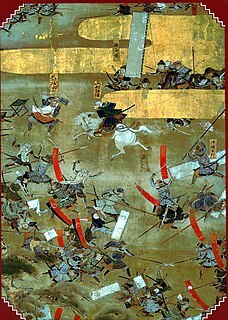 Wikimedia Commons has media related to Tokugawa shogunate . ↑ Emperor Go-Yōzei started reigning in 1586, after the abdication of Emperor Ōgimachi. ↑ Emperor Meiji reigned until his death in 1912. 1 2 3 Nussbaum, Louis-Frédéric. (2005). "Tokugawa-jidai" in Japan Encyclopedia, p. 978. ↑ Nussbaum, "Shogun" at pp. 878–879. ↑ Paik, Christopher; Steele, Abbey; Tanaka, Seiki (2017). "Constraining the Samurai: Rebellion and Taxation in Early Modern Japan". International Studies Quarterly. 61 (2): 352–370. doi:10.1093/isq/sqx008. ↑ Nussbaum, "Satchotohi", pp. 826–827. ↑ Jansen 2002, pp. 144–148. ↑ Chie Nakane and Shinzaburou Oishi (1990). Tokugawa Japan – The Social and Economic Antecedents of Modern Japan. University of Tokyo Press. pp.12. ↑ Nussbaum, "Ogosho" at p. 738. ↑ Chie Nakane and Shinzaburou Oishi (1990). 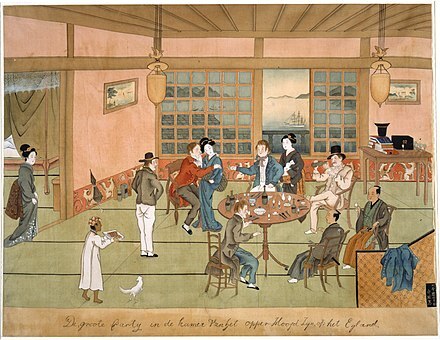 Tokugawa Japan: The Social and Economic Antecedents of Modern Japan. University of Tokyo Press. pp.24–28. ↑ Nussbaum, "Kanjō bugyō" at p. 473. ↑ Nussbaum, "Tenryō", p. 961. ↑ Nussbaum, "Tokugawa Mitsukuni" at p. 979. ↑ Nussbaum, "Tokugawa Nariaki" at p. 979. ↑ Nussbaum, "Tayasu" at p. 954. ↑ Nussbaum, "Matsudaira Katamori" at p. 616. ↑ Nussbaum, "Matsudaira Sadanobu" at p. 617. Fudai daimyō (譜代大名) was a class of daimyōs who were hereditary vassals of the Tokugawa in Edo-period Japan. It was primarily the fudai who filled the ranks of the Tokugawa administration. The Matsudaira clan was a Japanese samurai clan that claimed descent from the Minamoto clan. It originated in and took its name from Matsudaira village, in Mikawa Province. Over the course of its history, the clan produced many branches, most of which are also in Mikawa Province. In the 16th century, the main Matsudaira line experienced a meteoric rise to success during the direction of Matsudaira Motoyasu, who changed his name to Tokugawa Ieyasu and became the first Tokugawa shōgun. Ieyasu's line formed what became the Tokugawa clan; however, the branches retained the Matsudaira surname. Other branches were formed in the decades after Ieyasu, which bore the Matsudaira surname. Some of those branches were also of daimyō status. This is the glossary of Japanese history including the major terms, titles and events the casual reader might find useful in understanding articles on the subject. Metsuke (目付) were the censors or the inspectors of Tokugawa Japan. They were bakufu officials ranking somewhat lower than the bugyō. The metsuke were charged with the special duty of detecting and investigating instances of maladministration, corruption or disaffection anywhere in Japan; and particularly amongst the populace having status below the daimyō. Oshi Domain was a feudal domain under the Tokugawa shogunate of Edo period Japan, located in Musashi Province, Japan. It was centered on Oshi Castle in what is now part of the city of Gyōda, Saitama. The Hayashi clan was a Japanese samurai clan which served as important advisors to the Tokugawa shōguns. Among members of the clan in powerful positions in the shogunate was its founder Hayashi Razan, who passed on his post as hereditary rector of the neo-Confucianist Shōhei-kō school to his son, Hayashi Gahō, who also passed it on to his son, Hayashi Hōkō; this line of descent continued until the end of Hayashi Gakusai's tenure in 1867. However, elements of the school carried on until 1888, when it was folded into the newly organized Tokyo University. Shirakawa Domain was a feudal domain under the Tokugawa shogunate of Edo period Japan, located in southern Mutsu Province. It was centered on Komine Castle in what is now the city of Shirakawa, Fukushima. Its most famous ruler was Matsudaira Sadanobu, the architect of the Kansei Reforms. It was also the scene of one of the battles of the Boshin War of the Meiji restoration. Numazu Domain was a feudal domain under the Tokugawa shogunate of Edo period Japan located in Suruga Province. It was centered on Numazu Castle in what is now the city of Numazu, in modern-day Shizuoka Prefecture. The Kyoto Shoshidai was an important administrative and political office in the early modern government of Japan. However, the significance and effectiveness of the office is credited to the third Tokugawa shōgun, Iemitsu, who developed these initial creations as bureaucratic elements in a consistent and coherent whole. Manabe Akikatsu was the 7th daimyō of Sabae Domain in Echizen Province under the Tokugawa shogunate of Edo period Japan. His courtesy title was Shimōsa-no-kami, and his Court rank was Junior Fifth Rank, Lower Grade, later raised to Junior Fourth Rank, Lower Grade. He was the 8th hereditary chieftain of the Manabe clan. Matsushiro Domain was a feudal domain under the Tokugawa shogunate of Edo period Japan. It is located in Shinano Province, Honshū. The domain was centered at Matsushiro Castle, located in what is now part of the city of Nagano in Nagano Prefecture. Izumi Domain was a feudal domain under the Tokugawa shogunate of Edo period Japan, located in southern Mutsu Province in what is now part of the modern-day city of Iwaki, Fukushima. The Ōta clan was samurai kin group which rose to prominence in Sengoku and Edo period Japan. Under the Tokugawa shogunate, the Ōta were hereditary vassals of the Tokugawa clan. Sanuki Domain was a feudal domain under the Tokugawa shogunate of Edo period Japan, located in Kazusa Province. It was centered on Sanuki Castle in what is now the city of Futtsu, Chiba. The Ōoka clan were a samurai kin group which rose to prominence in the Edo period. Under the Tokugawa shogunate, the Ōoka, as hereditary vassals of the Tokugawa clan, were classified as one of the fudaidaimyō clans. Yoshii Domain was a feudal domain under the Tokugawa shogunate of Edo period Japan, located in Kōzuke Province, Japan. It was centered on Yoshii jin'ya in what is now part of the city of Takasaki, Gunma. Yoshii was ruled through much of its history by a branch of the Takatsukasa clan, which had adopted the patronym of Matsudaira. Kurobane Domain was a feudal domain under the Tokugawa shogunate of Edo period Japan, located in the Nasu District of Shimotsuke Province, Japan. It was centered on Kurobane jin'ya in what is now part of the city of Ōtawara, Tochigi. Kurobane was ruled through all of its history by the tozama Ōzeki clan. This article incorporates public domain material from the Library of Congress Country Studies website http://lcweb2.loc.gov/frd/cs/ .